Meet Haley Elizabeth Breault !! 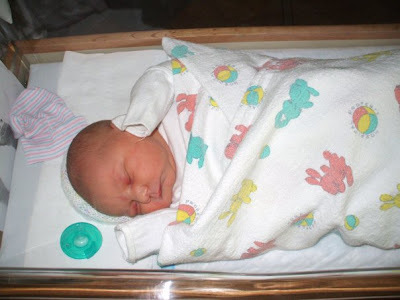 She was born on Thursday, March 19 at 9:17pm after 38 hours of labor to my friends Dawn and Joe Breault. She weighed in at a healthy 8 lbs 2 ozs. I am thrilled for them - the joy of a healthy child and the infinite possibilities of her life! Paraskevidekatriaphobia: Do You Have It?